A. According to the Royal commission inquiry into Chiropractic performed in New Zealand, “Chiropractors are the only health practitioners who are necessarily equipped by their education and training to carry out spinal manual therapy.” Furthermore, the inquiry found that, “Spinal manual therapy in the hands of a registered chiropractor is (relatively) safe.” (Chiropractic in New Zealand, 1979. Chapter 1, P. 3). Please note that a through and comprehensive examination of your spine is needed to to determine whether sufficient safety or minimum risk can allow the proposed treatment to be offered. At the same time, you will be asked to consider that individuals respond differently and all forms of treatment have the potential for adverse events. The skilled and well trained hands of a registered chiropractor assess the spine to determine the cause of the problem. Many techniques are holistic in nature and assess the spine as a whole, because the site of the pain may not be root cause of the problem. Using a thorough history and examination your chiropractor will be able to determine if chiropractic care is suitable for your condition and also what techniques would be best to use. The techniques may range from low-force techniques to manual adjustments (the one where you may hear an audible release or ‘pop’). A. When a Chiropractor is adjusting a joint, they are putting a force through the joint in order to improve or regain normal joint function. That adjustment may be a high-velocity, low-amplitude manual adjustment, where an audible release is heard, or it may be a lower force adjustment using an adjusting tool such as an activator or drop piece table. The goal of the adjustment is to improve: function of the nervous system: joint movement and function; and muscle and soft tissue function. Chiropractors are expertly skilled in varying the treatments appropriately for different conditions body sizes, shapes and ages as well as varying the angle, speed or choice of technique. Q. Who is Chiropractic suitable for? A. As mentioned above, there is a wide range of techniques chiropractors can use, from low to higher force. This means that chiropractors can work with a wide range of people from infants to older individuals simply by grading their adjusting styles. Chiropractors working with infants and children often focus on development, motor control and coordination, while using lower force techniques. Adults with various musculoskeletal complaints may seek chiropractic care for their back pain, neck pain and headaches. Chiropractors are also able to assess peripheral joints of the body such as shoulders, knees, wrists and ankles, aiding in recovery from injury and rehabilitation. Pregnant women may also seek chiropractic care to help their body cope with all the changes that occur during pregnancy. A. Chiropractors focus treatment on the neuromusculoskeletal system. A comprehensive examination of each patient is performed including a neurological, orthopaedic, structural and functional assessment with a review of radiological imaging when appropriate. A more detailed assessment of the spine usually this is done by assessing the spine and peripheral joints, to identify joints that aren’t functioning at their best. These joints can often be tender and associated tight muscles and/or muscles that aren’t functioning as well as they should be, which can have an effect on movement patterns of the body. If a joint doesn’t have it’s normal function or isn’t moving as well as it should, this can change the way the body is communicating with the brain. Recent chiropractic research has demonstrated that by adjusting these dysfunctional joints we can change the way sensory information is processed and integrated in the brain. That is, we can change the way the body and the brain communicate (Haavik, H. 2014. The Reality Check. Haavik Research, Auckland, New Zealand.). Q. What is the training and education of chiropractors? A. Chiropractors are educated in the University sector at an under-graduate and post-graduate level and there is a growing research and evidence base not only in Australia but through international federations. Each of the chiropractors here at Health plus Chiropractic have completed a minimum of 5 years of University education and hold Masters degrees in chiropractic. Our team philosophy is to pursue lifelong learning especially for the benefit of our patients and the wide variety of conditions they present. Therefore each of our team members spends dozens of hours each year furthering and continuing their education. Anthony has completed a post-graduate diploma in neuromusculoskeletal rehabilitation, and Aisha has a similar degree from the University of Auckland. Kerrie has and uses her Certificate in Musculoskeletal Acupuncture. Aisha is currently working towards a Masters degree in chiropractic research. Q. How often should I have a massage? Q. Can I exercise after my massage? A. Yes. However, be aware that areas treated may be tender for a day or two but should subside and allow you to continue to work out. Q. 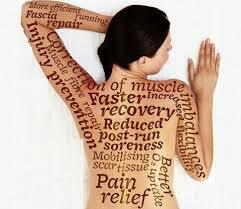 What is the difference between remedial and sports massage? A. Remedial massage is manual treatment of soft tissues with the aim of improving function in muscles and connective tissues. Every treatment is tailored specifically to each individual and will employ various techniques, such as trigger point release and deep tissue massage. Sports massage is the treatment of soft tissues with the aim of maximising blood flow and tissue mobility to allow for peak performance. Treatments will focus on muscle groups specific to your activity/ies to assist in both preparation for and recovery from your exercise. Q. What type of massage should I have or do I need? A. No, there is no referral necessary for any private patients. The only exception to this is for any patients able to claim some money back through either Medicare or DVA. Those patients need a specific referral from their GP. Please contact our reception staff for more details. Q. Can I claim using my Private Health Insurance? A. Yes, we have Hi-Caps facilities at Health plus Chiropractic, so if you have podiatry cover we can process the claim after your consultation so only the gap payment will be necessary. Q. I have Diabetes, why do I need a Podiatrist? A. Complications with the feet are one of the more common and serious side effects of having either Type 1 or 2 Diabetes. Regular check ups with a Podiatrist can significantly reduce your risks of complications and improve the health of your feet! We are fully equipped to assess diabetic feet. Q. What are Orthotics? and why is involved in the cost? 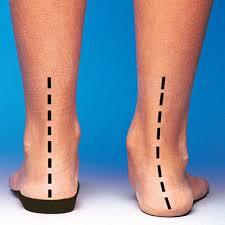 A. Orthotics are innersoles designed to improve the position and function of your feet. They can offload a painful area or reduce the workload of any overused muscle or joint. Orthotics come in lots of shapes and sizes and these days fit into a larger variety of footwear. A lot of people can use a relatively inexpensive prefabricated orthotic, but in some cases, the Podiatrist will recommend a custom made pair. These are fabricated just for you as a one off, this follows extensive measurements and a 3D scan of your feet to ensure a good fit. Each design is completed from scratch for each foot, this is what adds to much of the costs involved. For more information on this process, feel free to contact the clinic. Q. What is an Exercise Physiologist? Exercise physiologists complete a 4-year degree in the study of clinical exercise for people with or at risk of chronic and complex medical conditions, as well as for musculoskeletal injury and rehabilitation. Q. 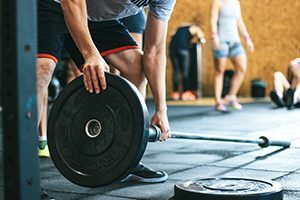 What is the difference between an exercise physiologist and a personal trainer? Lots! Aside from the level of training, exercise physiologists aim to achieve lifestyle and behavioural change. Exercise physiologists are, by far, the most qualified health professionals to provide exercise for people with conditions such as diabetes and pre-diabetes, high blood pressure, cardiovascular disease, depression, COPD, arthritis and those with a history of poor exercise maintenance. No. Referrals are certainly welcome, but are not necessary if claiming through your health fund. A referral from your doctor is required when using Medicare (EPC) funding or for insurance claims (Workcover/CTP). Eligibility requirements will need to be discussed with your doctor. Your first appointment will involve a thorough case history and will require you to perform several activities to assess your current physical capabilities. From your assessment, appropriate goals will be set and a personalised program will be developed. Please wear comfortable clothing you can walk and move freely in, and walking shoes or runners. Please also bring a water bottle and a towel to every appointment. Please bring any paperwork provided by your doctor, any reports and results from imaging (ultrasound/x-ray/CT/MRI) or from other tests (blood results). What is an EPC referral? The Enhanced Primary Care (EPC) program entitles eligible people up to 5 subsidised sessions through Medicare. If appropriate, this can be arranged through your GP. Referred participants will receive a rebate of $50.95* for each of the 5 sessions. Full payment is required at the time of consultation and you will be provided with a receipt to claim through Medicare. What is a Group Allied Health services for patients with Type 2 Diabetes? The group allied health for patients with type 2 diabetes program entitles eligible people up to 8 subsidised group exercise and education sessions through Medicare. If appropriate, this can be arranged through your GP. Referred participants will receive a rebate of $67.90 for one initial consult and $16.95 for each group session (up to 8 sessions). Do you accept Workcover and insurance referrals? Work cover (SIRA) NSW referrals are accepted. Some additional information will be required to before the initial consultation. Immediate health fund rebates through HICAPS are available. Please contact your fund if you wish to know the exact rebate amount, as this varies depending on your fund and your level of cover. We accept cash, EFTPOS, VISA and MasterCard.